Following on from his well-received photo-book ‘RESOLVEN THEN AND NOW’ last year, Resolven author William Willis has just published a second volume in this series. ‘RESOLVEN THEN AND NOW – VOLUME 2’, is on sale from early November 2018. 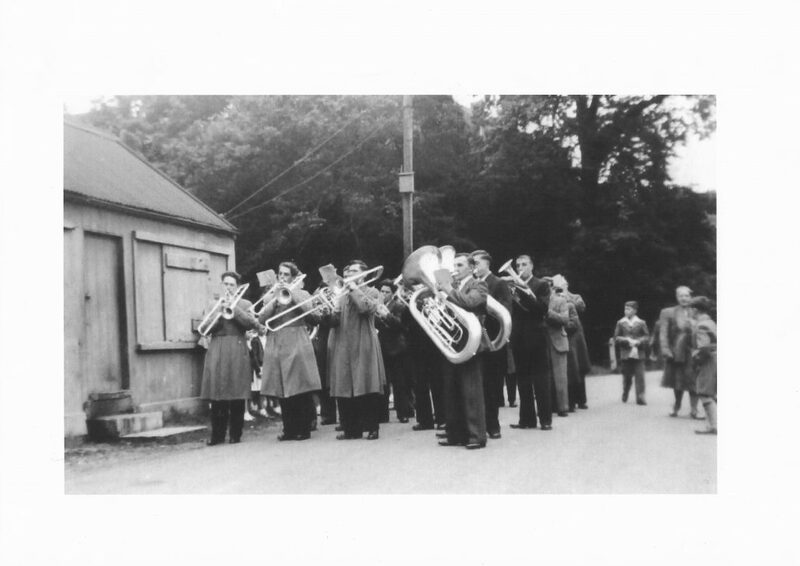 The author has catalogued another selection of rare and largely unpublished photographs of Resolven and District from 1879 to the present day. As ever, it is the author’s intention to portray village life through the ages – whether domestic, social, rural or industrial – using black and white images accompanied by well-researched captions and potted histories of the subjects. 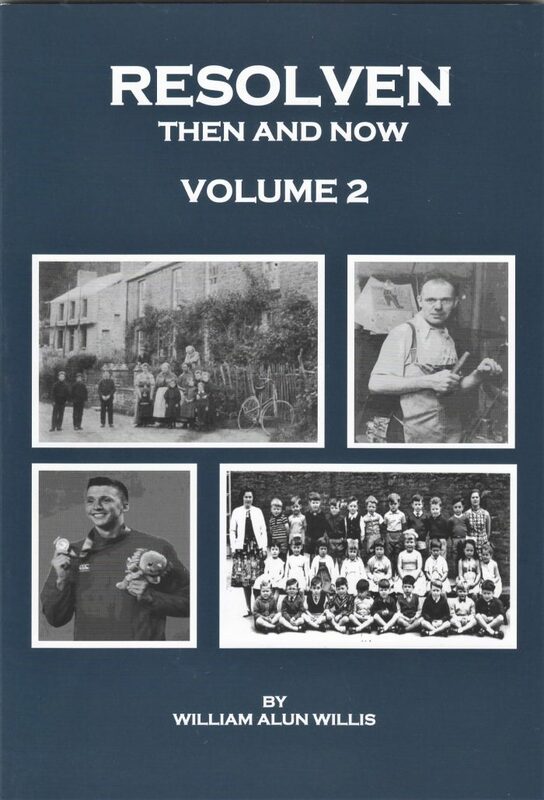 ‘RESOLVEN THEN AND NOW- VOLUME 2’ has 18 chapters covering a new range of subjects such as historical village views, craftspeople and characters, Resolven Carnival, sports, entertainment, old inns and farmsteads. There are also dedicated chapters about Resolven’s lost buildings, Rheola House and Rheola Aluminium works, plus an interesting final chapter illustrating and describing Resolven’s Grade II listed structures. The book is presented in paperback with a glossy cover. It has 100 pages, containing nearly 200 black and white photographs. The full colour inside covers portray the work of local artists, whilst the full colour back cover has an iconic photograph of Melincourt Waterfall in its full glory. William spent approximately six months gathering and taking photographs and compiling the annotated histories of the subjects. This could not have been achieved without the unwavering support and assistance of the people of Resolven, to whom the author acknowledges a great debt. Once again, it was demonstrated how strongly the community feels about its past and its present, and how this sense of belonging impacts on its future. Such has been the cumulative effect of photograph-gathering, that the author plans to publish a third [and final] volume of ‘RESOLVEN THEN AND NOW’ in the Autumn of 2019. New subjects will include traditional shops and ‘front-room’ shops, cottage industries, old pastimes, Resolven children at play throughout the ages, military matters, local artists and vintage transport. Anyone wishing to contribute is asked to contact the author via the address contained in the book. ‘RESOLVEN THEN AND NOW – VOLUME 2’ may be purchased directly from the author, or from Marcia’s Shop [Resolven Post Office]. The retail price is £10.00 per copy. There is only a limited number, so buy your copy now!! William Alun Willis was born in Resolven. His parents, Joan and Vic Willis, ran the village Post Office for more than 40 years. His mother, Joan, was a serving Justice of the Peace for more than 20 years. 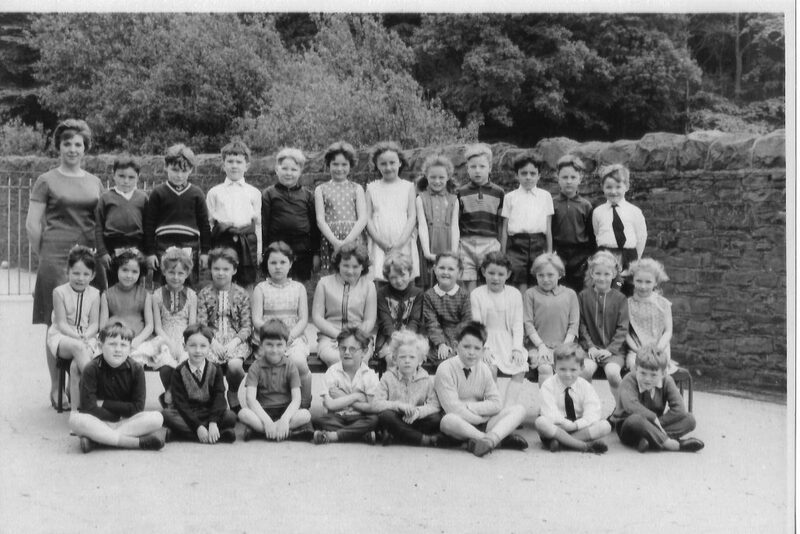 William attended Ynysfach Primary School, Resolven (see photo below). He started writing comedy scripts with his close friends Eurfyl Davies and Geraint Evans whilst studying for ‘A’ Levels at Dwr-y-felin VI Form College, Neath. Publishers W.H. Allen took an interest, and encouraged the author to try to write professionally. William attended the University of Wales at Swansea, gaining a combined honours degree in Social History, Sociology and Social Anthropology. However, much of his ‘studying time’ was spent writing and editing the University ‘Rag Mag’ – a charity publication. William was also editor of ‘The Beck Mail’, a residential hall newspaper. In 1984, William gained his post-graduate qualification in Social Work Studies (specialising in Childhood and Adolescent Behaviour) at Southampton University, before returning to Swansea University to take up the post of Press Officer. 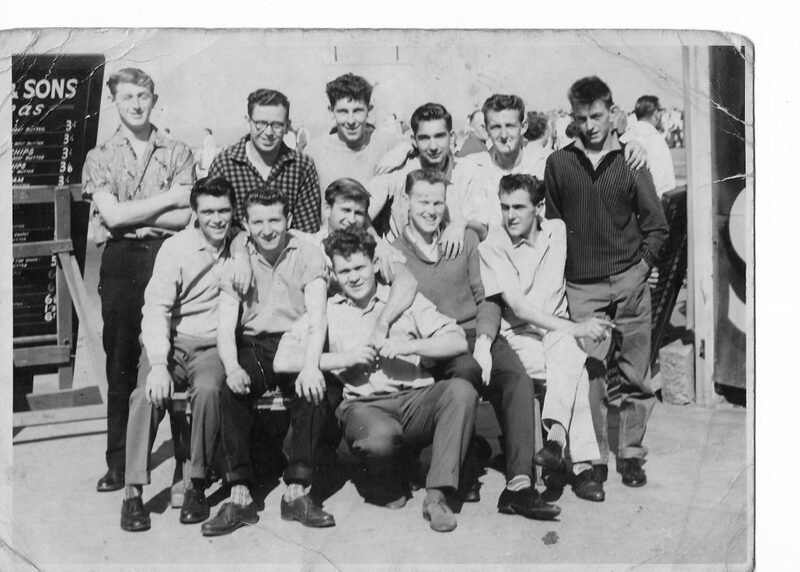 He worked in the training department at Milland Road (under the auspices of Neath Borough Council) for more than twenty years, specialising in special needs teaching and, later, key skills training. He became Training Officer for Neath Borough Council at Milland Road in 1988. Between 1990-91 William took a gap year, first back-packing around Egypt, Libya and the Sudan; then accepting a year’s TEFL contract at the English Education Centre in Jakarta, Indonesia, where he taught English to professional groups such as doctors, architects and businessmen. William returned to work for Neath Borough Council in 1991, where he met his partner, Joanna, in 1994. They have been together for 23 years, and have two wonderful children. In 2001 he decided to re-train as a Law Costs Draftsman [legal accountant], from which job he recently withdrew to take up professional writing again. Also in 2001, he began writing for radio and television and he entered a competition run by the BBC – ‘The Celtic Nations Comedy Cup’ – which was aimed at developing new comedy writers in Wales, Scotland and Northern Ireland. William was fortunate to be chosen as one of the winning Welsh entries, with a prize of his winning comedy play being staged at the West End in Glasgow. As a result of this, William was given a commission to write a comedy series for the BBC. In 2002, the comedy series ‘Do It Yourself’ was completed, which followed the exploits of the staff at Dragon DIY and Pet Store. All six episodes of this first series were recorded before a live audience at Resolven Miners’ Welfare Hall in February 2003. The series was directed by ‘Only Fools and Horses’ director Gareth Gwenlan, produced by Darren Broome, and featured an all-star cast from Welsh comedy television and radio. The show was a resounding success, and over the next 5 years another four series (24 episodes) of ‘Do It Yourself’ were commissioned from William, and were recorded before live audiences in a range of local theatres, such as the Coliseum in Aberdare and in the Cwmaman Institute. In 2007, William wrote another series for the BBC – ‘The Harder They Fall’ – a six-part comedy which followed the trials and tribulations of a compensation law firm. Gareth Gwenlan directed, and Paul Forde produced the series. The cast included veteran actress Margaret John (‘High Hopes’), Brian Hibbard (‘Twin Town’ and ‘The Flying Pickets’), and Richard Mitchley (‘Blackadder’ and ‘Dr Who’). This time, the complete series was recorded before a live audience at the BBC studios in Cardiff. William returned to professional writing in 2017 after taking time out to be with his two young children. 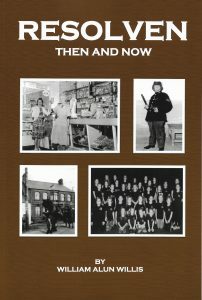 Limited numbers of copies of ‘RESOLVEN THEN AND NOW’ Volume 1 are still available directly from the author or by request from Marcia’s (Resolven Post Office). The retail price is £8.95 (softback; 88 pages of black and white photographs plus full colour covers). Among other local history projects, he is currently working on a comedy series for television. Resolven District News wishes William all the very best for his future projects.